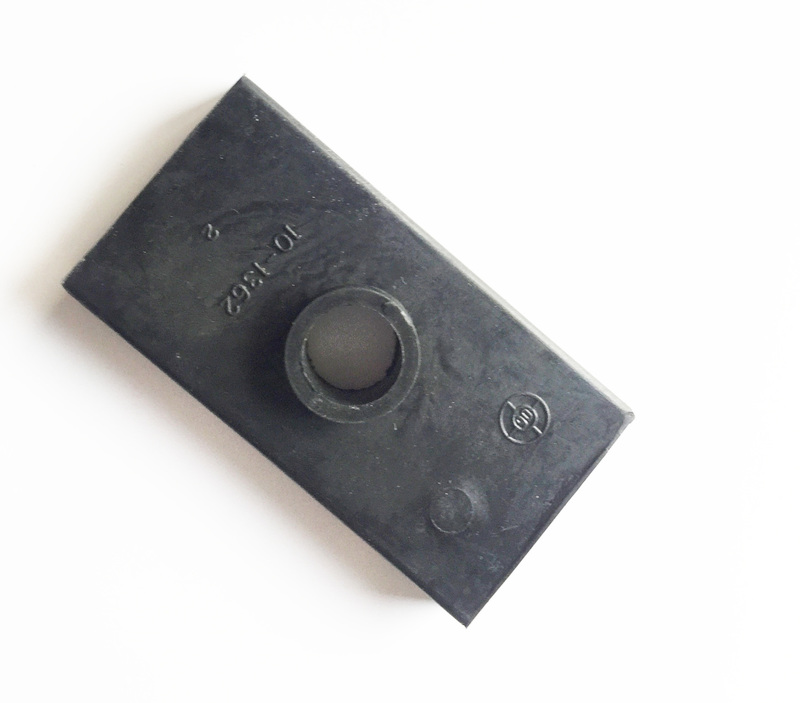 Rear Spring mounting pad for semi elliptic spring vehicles Quantity 4 are required per car. Large U-bolts are used to mount the rear springs to the chassis. 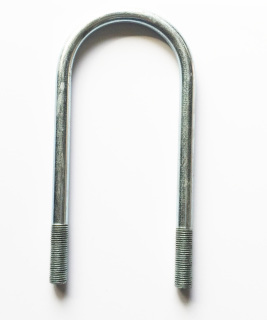 While these may not wear out, they are subject to all kinds of abuse under the car. 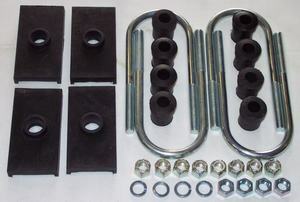 This kit has all of the hardware to properly install the rear spring on a Sprite, Midget or Morris with the semi elliptic spring. 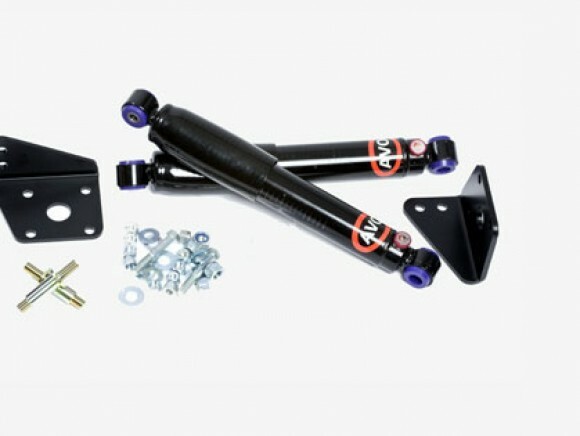 Alloy adjustable trailing arms for the 1/4 elliptic Sprite and Midget are not only lightweight but incredibly strong and good looking. The trailing arm tubes are knurled swagged 6061 T-6 aluminum – one piece with no welded in parts and the rod ends are chrome plated C1045 steel with Teflon races. 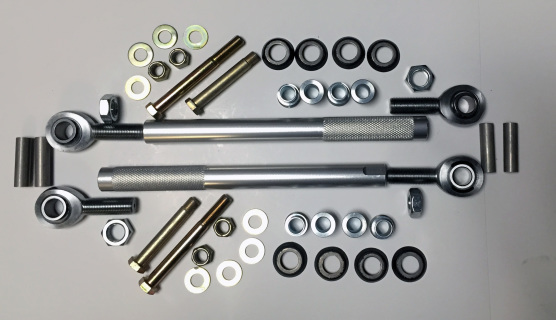 This kit every item needed to install including Grade 8 hardware, dust seals, alloy high misalignment spacers and complete instructions. This bolt on rear damper (Shock) conversion is like no other as it mounts the rear damper unit in a near vertical position. This puts the shock in the optimum position to absorb uneven ground while producing a smooth ride and far more rear end control. 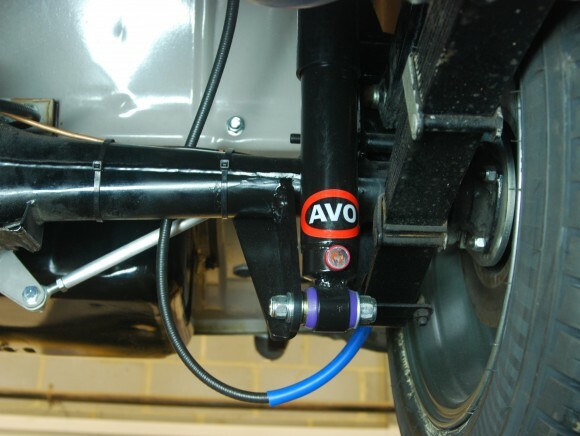 To maintain front and rear continuity, adjustable AVO telescopic dampers are used allowing you to adjust the ride to your personal requirements and driving style. Combine this with our front telescopic conversion kit and you will experience a far superior and confidence inspiring car.